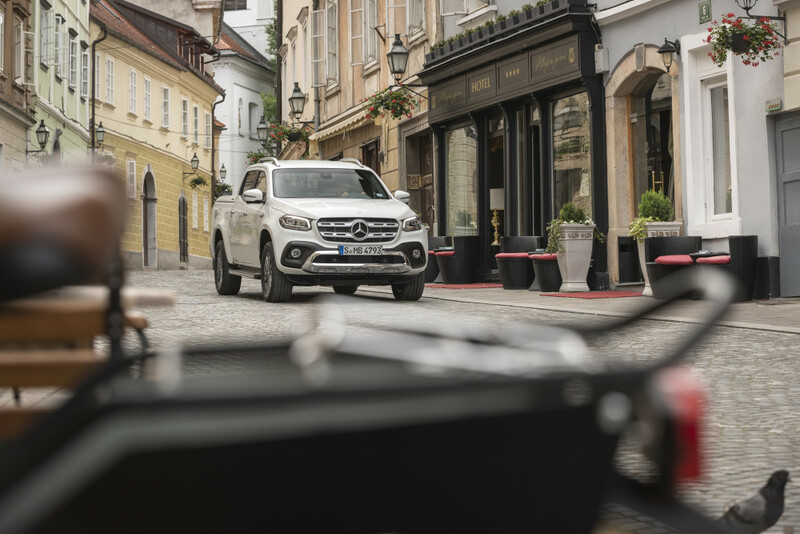 Mercedes’ top-of-the-range X-Class, the X350d 4Matic, recently arrived in South Africa. As you’ve probably guessed, it’s the most expensive bakkie currently on sale in the country, but you do get a lot in return for forking over nearly R1 million. 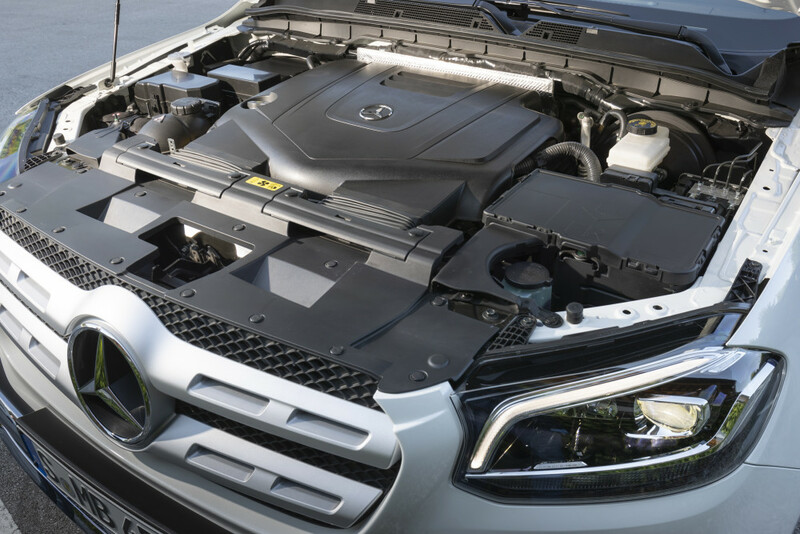 The most important difference is obviously the turbocharged V6 diesel powertrain, mated to a seven-speed automatic transmission – both Mercedes designed and developed. The V6 develops 190kW and 550Nm of torque, which is good enough for a 0-100km/h sprint time of 7.9 seconds. The X350d is equipped with permanent four-wheel drive with low-range and a rear locking differential. There are three all-wheel-drive modes to choose from: 4MAT for increased vehicle dynamics, 4H for improved traction off-road, and 4L for tough off-road terrain. 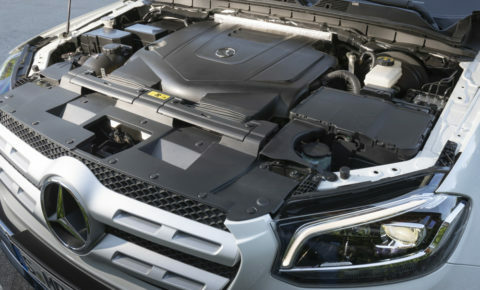 With the all-wheel-drive system and the suspension with its long spring travel and ground clearance of 222 millimetres, Mercedes claims the V6 effortlessly climbs gradients of up to 45 degrees, fords water courses with a depth of up to 600 millimetres, and maintains its poise on inclines of almost 50 degrees. 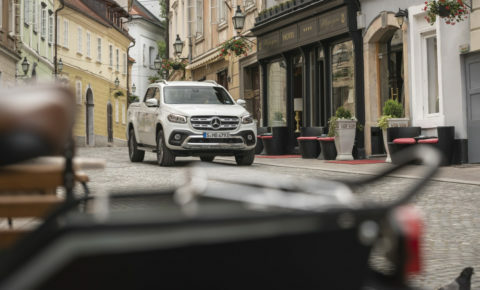 The Progressive line includes the following as standard: 17-inch 6-spoke light-alloy wheels, air vents in electroplated silver chrome, leather-lined steering wheel and parking brake, the infotainment system Audio 20, and an eight-speaker system. Standard features in the high-end equipment line Power include a simulated, chrome-plated underride guard in the front bumper, a chrome-plated rear bumper, 18-inch 6-spoke light-alloy wheels, LED High Performance headlamps, electrically adjustable seats, and the infotainment system Audio 20 with a multifunctional touchpad.